Here’s what’s happening in the world of television for Friday, November 30 and Saturday, December 1. All times are Eastern. 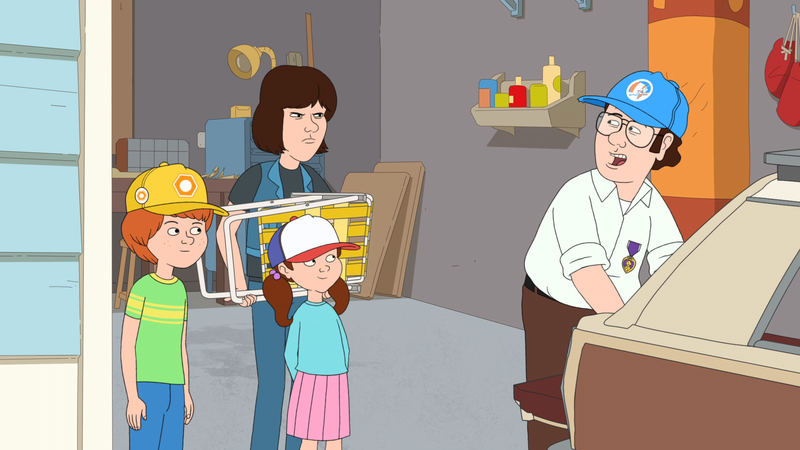 F Is For Family (Netflix, Friday): If the marketing for this series from Simpsons writer Michael Price and comedian Bill Burr makes it look like a tour of 1970s nostalgia, the show itself proves that decade to be far from idyllic. Instead, F Is For Family satirizes a specific variety of familial dysfunction that was more prevalent in that decade (though still relevant today), one in which it’s perfectly acceptable to hit and cuss at your kids, and which sees a housewife wanting more and a patriarchal husband resenting her for it. (Ah, yes, those were the days.) So crude and outrageous though it may be, last season saw the show dealing with issues like everyday workplace misogyny and male patriarchal insecurity. We last left Frank (Burr) and Sue (Laura Dern), having finally worked through their marital issues, discussing going back to school to pursue their dreams. But the season-three trailer instead shows the family anticipating an exciting summer of block parties and movie nights, as well as getting to know their impressive new neighbor (Vince Vaughn). It’s hard to say exactly where this season will take the Murphys next, but with vocal talent like Dern, Burr, Vaughn, Sam Rockwell, Justin Long (New Girl, Alvin And The Chipmunks), Debi Derryberry (Toy Story, Jimmy Neutron: Boy Genius), and Haley Reinhart (America Idol), it’s likely to be a pretty good place. A Christmas Prince: The Royal Wedding (Netflix, Friday): Make merry and rejoice: His royal highness A Christmas Prince has returned to our screens to sweep us off our feet and thaw our frosty hearts with his delightfully stupid holiday sap. Here at The A.V. Club, we celebrate pop culture of all kinds and across all genres, and this festive and unapologetically silly feel-good romance became a sensation overnight (apparently, a lot of people loved A Christmas Prince... a lot). Tonight, its sequel makes its way over the threshold as Amber and King Richard prepare for their royal wedding, and Amber must navigate the stifling traditions and rules one must adhere to to become a royal. Will she find a way to commit to Richard—and to life in Aldovia—without losing herself in the process? Almost certainly.